Sheila Rogers DeMare is a leader in the field of integrative therapies for neuropsychiatric disorders. 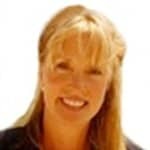 She is founder and director of the international nonprofit organization Association for Comprehensive NeuroTherapy and editor of the website Latitudes.org. She communicates regularly with physicians, families, and organizations to learn and share new findings on treating neurological conditions with integrative medical methods. She served on the advisory board for Health Journal Television for several years during its production (hosted by General Alexander Haig). Sheila is author of the Amazon best-seller Natural Treatments for Tics and Tourettes, distributed by Random House. 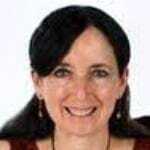 A national speaker on Tourette syndrome she is co-author of the study “Nutritional supplements and complementary/alternative medicine in Tourette syndrome” (J Child Adolesc Psychopharmacol). Sheila has been featured in Psychology Today, Science Daily, Mothering Magazine, Sun Sentinel News, Journal of Child and Adolescent Psychopharmacology, The Palm Beach Post, The Environmental Physician, and The Townsend Letter Magazine. A contributing author to Perspectives on Diseases and Disorders: Tourette Syndrome, she has appeared on television, spoken on radio, presented at conferences, and is a frequent speaker for family support groups. Dr. Mary Ann Block is Medical Director of The Block Center, an international clinic for the treatment of chronic health problems in children and adults. She is an expert on the treatment of ADHD without psychiatric drugs and is a member of the American Academy of Environmental Medicine. 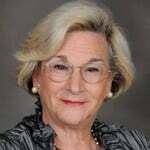 Dr. Block chairs The Health and Empowerment Committee for The National Foundation for Women Legislators, and has served as a peer reviewer for the Agency for Health-Care Policy and Research and the American Academy of Pediatrics for the diagnosis and treatment of ear problems. She is the top-selling author of the following books: 1) No More ADHD, No More Ritalin; 2) No More Antibiotics: Treating Ear and Respiratory Infections the Natural Way; and 3) Just Because You’re Depressed Doesn’t Mean You Have Depression, among others. Marne Glaser, MA, served on the board of the national EMR Network which focused on a precautionary approach to wireless radiation. She is currently working with an Underwriters Laboratories (UL) panel, attempting to include human health as a factor in their voluntary Sustainability of Mobile Phones Standard criteria and is an executive member of the Managing Secretariat for the International Commission for Electromagnetic Safety (ICEMS). A school psychologist, Marne has been interested in environmental approaches to learning, behavior, and emotional problems in children throughout her career. In 2000 she was alerted to the potential impact that wireless radiation from cell phones, WiFi, and related sources could have on human health and behavior. She writes on these topics and shares information through public presentations. Christopher Grayson serves as the Director for the Office of Research Integrity and is responsible for overseeing the regulatory requirements for several research compliance areas at Florida International University (FIU) including the Institutional Review Board (IRB) and the Responsible Conduct of Research. Chris earned his Bachelor of Science degree in Management Information Systems from the University of Central Florida and later earned his Master of Business Administration from Florida International University. He has also earned a Certification as an IRB Manager from the National Association of IRB Managers and a Certification as an IRB Professional from the Council for Certification of IRB Professionals. He was a recipient of the FIU Opportunity Award, a recognition awarded by the President of FIU. He is a member of several professional organizations including the Public Responsibility in Medicine and Research. James M. Greenblatt, MD, has treated patients with mood disorders and complex eating disorders since 1990. After receiving his medical degree and completing his psychiatry residency at George Washington University, Dr. Greenblatt completed a fellowship in child and adolescent psychiatry at Johns Hopkins Medical School. Dr. Greenblatt has lectured throughout the United States on the scientific evidence for nutritional interventions in psychiatry and mental illness. 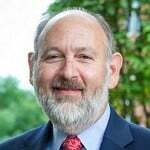 Dr. Greenblatt is chief medical officer at Walden Behavioral Care in Waltham, MA and serves as an assistant clinical professor of psychiatry at Tufts University School of Medicine. He is founder and medical director of Comprehensive Psychiatric Resources, a private psychiatric practice focused on utilizing integrative medicine. Dr. Greenblatt’s knowledge in the areas of biology, genetics, psychology, and nutrition as they interact in the treatment of mental illness has led to numerous interviews by the media on television as well as in written articles for consumer audiences. 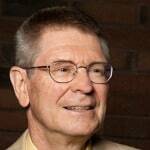 His books include the forthcoming Finally Focused (The Breakthrough Natural Treatment Plan for ADHD That Restores Attention, Controls Hyperactivity, and Helps Eliminate Drug Side Effects) (May 2017), Answers to Appetite Control, Answers to Anorexia and The Breakthrough Depression Solution. 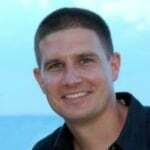 Dr. Devin Houston is a researcher and expert in the use of digestive enzymes for health. Founder of Houston Nutraceuticals, he left academia for industry and is an expert on advanced methods of enzyme analysis and production with more than 30 years experience. Dr. Houston has been instrumental in new product development, and is the formulator and inventor of SerenAid ™, an enzyme product currently distributed by Klaire Laboratories. He was a scientific consultant to the dietary supplement industry prior to founding Houston Nutraceuticals, Inc., doing business as Houston Enzymes. He shares information on his website, answering frequently asked questions and dealing with issues that are common to many readers of Latitudes.org. His focus is on enzymes to support digestion and target food intolerance, among other topics. 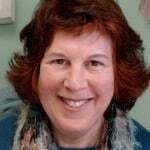 Helen L Irlen is an internationally recognized educator, researcher, therapist, scholar, and expert in the area of visual-perceptual problems. She is Founder & Executive Director: Irlen Institute International Headquarters. 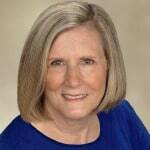 Ms Irlen is a graduate of Cornell University and has been in the field of education for the past 40 years. She worked 15 years as a school psychologist plus 30 years as a child and family therapist and educational therapist, among other career positions. After conducting research on reading and learning disabilities, Ms Irlen developed diagnostic testing instruments and a set of filters to address the needs of a subset of people who showed improvement in reading when the text is covered by colored acetate sheets. Her work grew into the Irlen Method, which has been featured on prominent news programs around the world. There are now over 170 Irlen Clinics. More than 10,000 educators have been trained in the Irlen Method, and many schools include it as part of a screening battery. Ricki spent 35 years as an elementary through high school teacher. In the school system, she was also a reading specialist, gifted teacher, curriculum developer, and Chapter I (Title I) reading teacher. In addition she is currently a public speaker on the topic of reading improvement, accelerated learning, and learning styles. She is the developer of Keys to Reading Success. Her popular books include: How to Learn Anything Quickly: An Accelerated Program of Rapid Learning (Barnes and Noble), Solving Your Child’s Reading Problems, and Your Child Can Be a Great Reader. Her latest book is The Fine Line between ADHD and Kinesthetic Learners: 197 Kinesthetic Activities to Quickly Improve Reading, Memory, and Learning in Just 10 Weeks: The Ultimate Parent Handbook for ADHD, ADD, and Kinesthetic Learners. Since 1985, Dr. Siegfried Othmer has been engaged in the development of research-grade instrumentation for EEG feedback, and since 1987 has been involved in the research of clinical applications using that instrumentation. Currently he is Chief Scientist at the EEG Institute in Woodland Hills, CA and president of the Brian Othmer Foundation. Dr. Othmer provides training for professionals in EEG biofeedback, and presents research findings in professional forums. 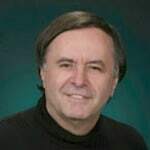 From 1987 to 2000 Dr. Othmer, was president of EEG Spectrum, and until 2002 served as Chief Scientist of EEG Spectrum International. Dr. Othmer has been President of the Neurofeedback Division of the Association for Applied Psychophysiology and Biofeedback for the past few years. The initial work he and his wife, Susan F Othmer did was life-transforming for their son Brian’s seizure disorder. The Othmers have pioneered a number of novel applications of neurofeedback over the years. The Othmers provide professional training in EEG biofeedback and sponsor a professional network of neurofeedback therapists, the EEG Associates. Dr. Reichenberg-Ullman is a licensed, board-certified naturopathic physician specializing in homeopathy. She is author of Whole Woman Homeopathy: A Safe, Effective, Natural Alternative to Drugs, Hormones, and Surgery, and co-author, with her husband and colleague, Robert Ullman, ND of six other books on homeopathy, including the best-selling Ritalin-Free Kids; The Homeopathic Treatment of Depression, Anxiety, Bipolar Disorder, and Other Mental And Emotional Problems (previously Prozac-Free); A Drug-Free Approach to Asperger Syndrome and Autism; Rage-Free Kids; Homeopathic Self-Care: The Quick and Easy Guide for the Whole Family; and The Patient’s Guide to Homeopathic Medicine. The Ullmans have hundreds of published articles, including writing a column for the Townsend Letter since 1990. Dr. Ullman practices at The Northwest Center for Homeopathic Medicine in Edmonds, Washington. She treats patients also treats patients by phone and Skype, but she treats the majority of patients by Skype video or telephone consultations. She has served as President of the International Foundation for Homeopathy and Vice President of the Homeopathic Academy of Naturopathic Physicians. Dr. Sherry Rogers is a Fellow of the American College of Allergy and Immunology and a Diplomate of the American Academy of Environmental Medicine. She has been in private practice for over 26 years. Dr. Rogers lectures on her original scientific material worldwide, as well as giving advanced courses for physicians. She developed the Formaldehyde Spot Test and published her mold research in three volumes of the Annals of Allergy. She has published chemical testing methods in the National Institutes of Health Journal, Environmental Health Perspectives. In addition, Dr. Rogers has published multiple scientific articles, authored 14 books including her most recent, How to Cure Diabetes!, Is Your Cardiologist Killing You?, The High Cholesterol Hoax, The High Blood Pressure Hoax, Detoxify or Die and Pain Free. She edited the environmental health section of the International Medicine World Report and is a member of the “Healthy, Wealthy and Wise Health” radio staff. She writes monthly articles for health magazines including her newsletter, Total Wellness. 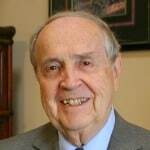 Dr. Bill Shaw is founder and director of The Great Plains Laboratory, Inc. in Lenexa, Kansas. The laboratory serves clients worldwide, with a website in eight languages. Board certified in clinical chemistry and toxicology, Dr. Shaw worked for the Centers for Disease Control and Prevention (CDC), Children’s Mercy Hospital, University of Missouri at Kansas City School of Medicine, and Smith Kline Laboratories. He is the author of Biological Treatments for Autism and PDD, originally published in 1998 and Autism: Beyond the Basics, published in 2009. Great Plains Laboratory sponsors frequent conferences and physician trainings on assessment of biochemical imbalances and researches methods to treat these imbalances. 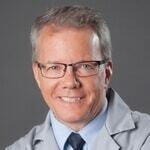 Dr. Shaw is an international speaker on nutritional factors in chronic illnesses. A stepfather of a child with autism, he has helped thousands of patients and medical practitioners improve the lives of people with autism, ADHD, Alzheimer’s disease, arthritis, bipolar disorder, chronic fatigue, depression, fibromyalgia, immune deficiencies, multiple sclerosis, OCD, Parkinson’s disease, seizure disorders, tic disorders, Tourette syndrome, and other conditions. Dr. Vijendra Singh, PhD, is currently the Scientific Director of a Neuro-Immune Biotechnology Solutions. He is a professional neuroscientist & immunologist, speaker, author, biomedical researcher and consultant for autoimmunity and inflammation in brain disorders, in particular Alzheimer’s disease and autism spectrum disorders. 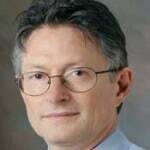 He is a former university professor of neuroimmunology research from the University of Michigan, Utah State University, Medical University of South Carolina and University of British Columbia. Dr. Singh has devoted his career to scholarly research on brain diseases and mental illnesses — neuropathologies that includes autism spectrum disorders, multiple sclerosis, and Alzheimer’s disease, stress hormones, brain trauma, clinical depression, Tourette’s syndrome and obsessive-compulsive disorder. He has specialized in the biochemistry and immunology of central nervous system diseases and neuro-immune-dysfunction syndromes. 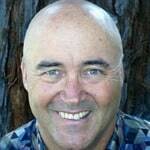 His expertise also extends into integrative approaches including natural products and nutritional supplements. His profile includes 250 papers and presentations. The focus of research is on biological, environmental and nutritional factors and how they impact the function of immune system and nervous system. Dana Ullman is certified in classic homeopathy. He is widely recognized as the foremost spokesperson for homeopathic medicine in the U.S. He is author of The Homeopathic Revolution: Why Famous People and Cultural Heroes Choose Homeopathy (with a forward by Queen Elizabeth) and co-authored America’s most popular homeopathic guidebook, Everybody’s Guide to Homeopathic Medicines. He has authored five other books including Essential Homeopathy, Homeopathy A-Z, Consumer’s Guide to Homeopathy, Discovering Homeopathy: Medicine for the 21st Century, and Homeopathic Medicines for Children and Infants. 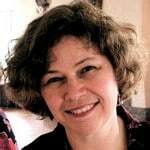 Dana wrote an important e-book on homeopathic research that is regularly updated and is one of the most comprehensive resources for descriptions of and references to the 200+ clinical studies on homeopathy. Evidence Based Homeopathic Family Medicine is a popular resource for practical clinical information on how to treat 100 of the most common ailments that homeopaths tend to treat. Dana writes a regular column at the Huffington Post and publishes articles regularly at NaturalNews.com. He also treats people all over the world. Dr. William J. Walsh is president of the non-profit Walsh Research Institute and an internationally recognized expert in the field of nutritional medicine. He has been a key scientist paving the way for nutrient-based psychiatry and nutritional medicine. Over the past 30 years, Dr. Walsh has developed biochemical treatments for patients diagnosed with behavioral disorders, attention deficit (hyperactivity) disorder, autism, clinical depression, anxiety, bipolar disorders, schizophrenia, and Alzheimer’s disease that are used by doctors throughout the world. His book, Nutrient Power: Heal Your Biochemistry and Heal Your Brain describes the evidence-based nutrient therapy system. His breakthrough research has impacted the treatment of ADHD, violent behavior, autism, and depression, among others. Dr. Walsh leads medical training programs in advanced, drug-free biochemical/nutrient therapies in Australia, Ireland, Norway, the USA and other countries. He is a frequently invited guest lecturer, having given more than 200 presentations including the American Psychiatric Association, the U.S. Senate, and the National Institutes of Mental Health. He has authored numerous peer-reviewed journal articles and scientific reports, as well as been granted five patents. Mona has been in the field of education since 1997 as an elementary school teacher, personal coach, and marketing copywriter for one of the country’s leading providers of teaching materials for K-12 educators. Her key specialty for ACN Latitudes lies in the area of creating behavior modification charts that classroom teachers and parents can use to inspire their students and children to behave better and create healthy habits. Her user-friendly charts have been accessed thousands of times from our website for use in classrooms and at home. In addition to creating and donating her charts to our site, she is co-author of the newly released book Behavior Charts to the Rescue. 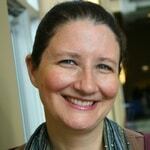 Mona works in the Chicago area as an independent consultant and coach. 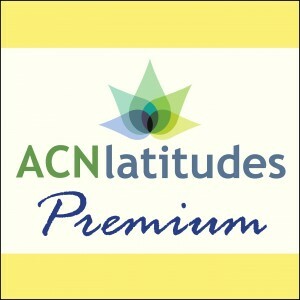 She has been providing copywriting, editing, and web marketing services to ACN Latitudes since its inception. 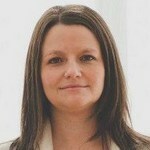 Rose Winter is an architect and currently serves as project manager for dbHMS Design Build Engineering in Chicago. She is a consultant on sustainability issues for buildings and assesses homes, offices, apartments and complexes for LEED certification. LEED is a third party certification program and the nationally accepted benchmark for the design, construction and operation of high performance “green” buildings. LEED stands for Leadership in Energy and Environmental Design and serves as a tool for buildings of all types and sizes. Project Manager for the award-winning Shaw Technology and Learning Center, on Chicago’s west side (a LEED Platinum Charter High School and the Environmental Law & Policy Center, she is qualified to assess projects for national LEED certification. Rose serves as an advisor to ACN Latitudes on issues related to non-toxic exterior and interior building materials as well as home furnishings. She is also consulted by us for advice related to the impact of these products on health. Dr. Mark Young is a professor in the Department of Child, Family, and Community Sciences at the University of Central Florida. He received his doctorate in Community Counseling from Ohio University in 1985. His professional experience as a counselor includes more than 20 years in community mental health, corrections, college counseling centers and private practice. Since 1987 Dr. Young has worked as a counselor educator. During that time he has published three books and a variety of articles on subjects ranging from imagery to innovative teaching techniques in the counseling field. His most recent books are Learning the Art of Helping, from Prentice-Hall and Counseling and Therapy for Couples from Wadsworth. Dr. Young has given workshops at state and national conventions in the United States, as well as in Mexico, Russia, and France. He joined the University of Central Florida faculty in the fall, 1999. Prior to joining the staff at the University of Central Florida, Dr. Young was professor and chair of the Counseling Department at Stetson University. Dr. Zaslove is Director of the Zaslove Group in Napa, CA. 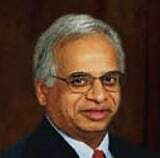 He has given over 500 seminars on personal and professional productivity to the National Institutes of Health, American Academy of Orthopaedic Surgeons, Brigham Women’s Hospital, International College of Surgeons, Kaiser Permanente, American Healthcare Radiology Administrators and many other groups. He is author of The Successful Physician and a contributor to Meditation as Medication for the Soul. Dr. Zaslove practiced as a psychiatrist for more than 40 year and is a diplomate of the American Board of Psychiatry and Neurology. In addition to formal training at UCLA School of Medicine and at the Neuropsychiatric Institute, he studied homeopathy and alternative medicine in England. He has been applying relaxation and meditation techniques in his hospital and clinic practices for the past ten years and is an international speaker on the benefits of meditation. 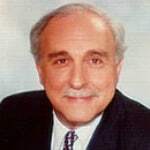 Dr. Zaslove served twice as chief of staff at California’s largest mental hospital, and has several published articles.